"For the message of the cross is foolishness to those who are perishing, but to those of us who are being saved it is the power of God." This cross is available in sterling silver or 14kt white gold. 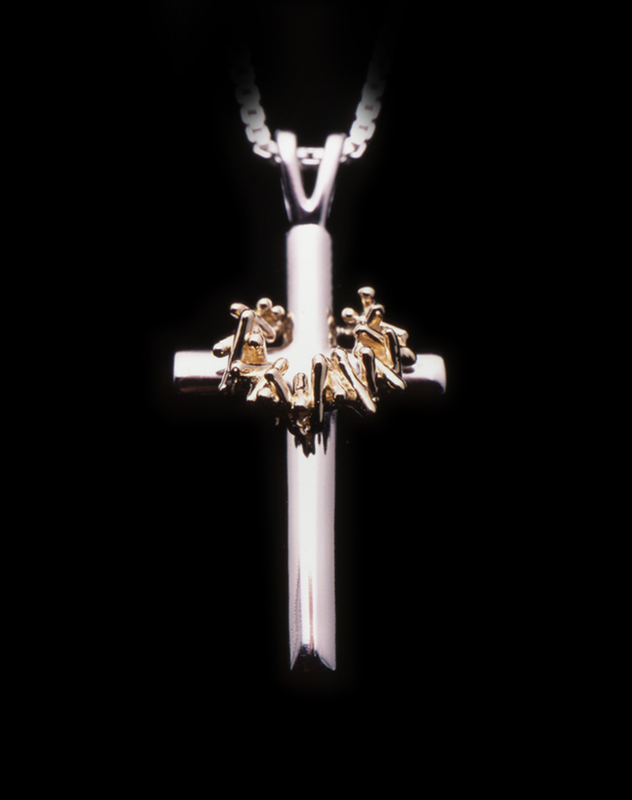 The 14kt yellow gold crown of thorns represents the King of Kings who died and rose for us. Silver cross comes with 18" sterling silver box chain. 1 1/8" x 5/8"
Click below on metal or chain for options.